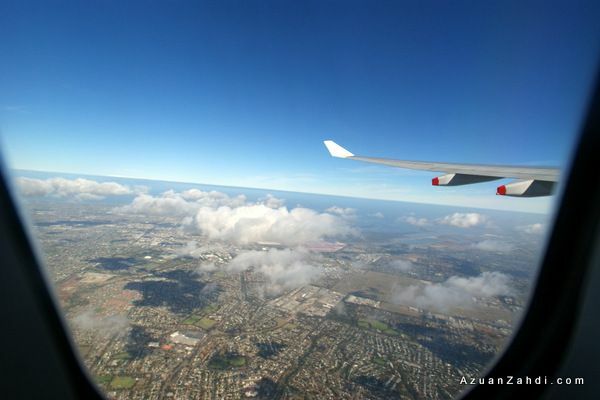 Parafield Airshow 2012 – An Awesome Aviation Event! Unfortunately, all good things must come to an end. 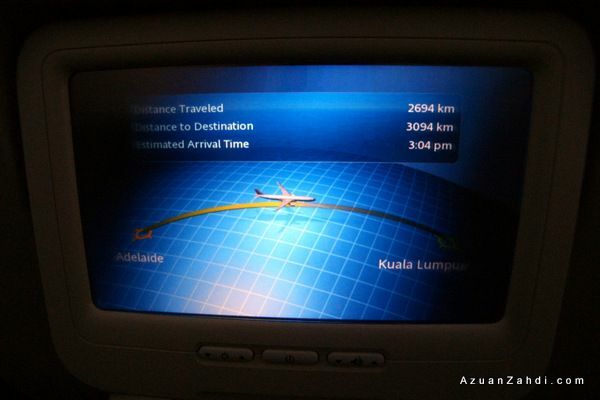 With heavy hearts, on the morning of April 1st 2012, it was time for us to leave Adelaide and head back to Kuala Lumpur. 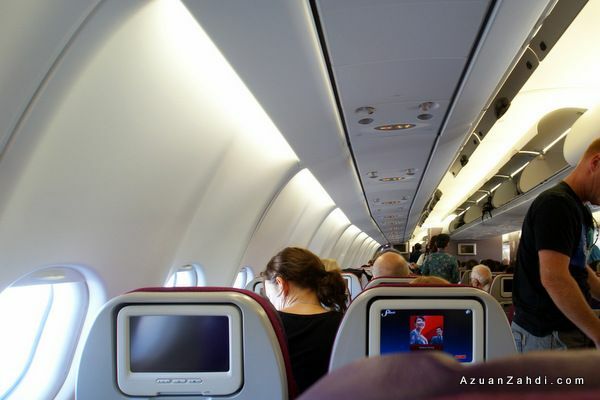 What better way to end this trip than with a nice flight back to Kuala Lumpur on-board Malaysia Airlines. 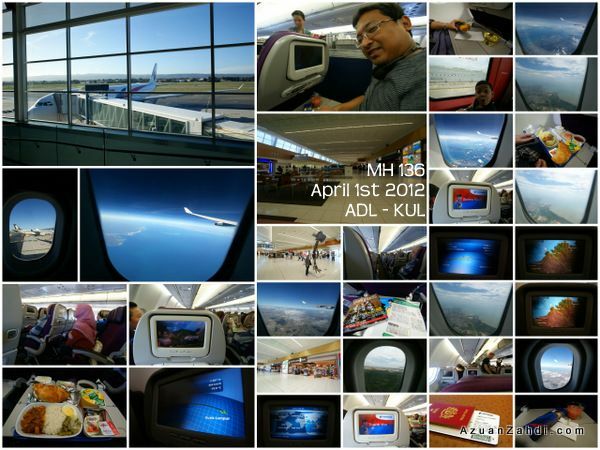 This blog post is a simple review/trip report of MH136, 1st April 2012! 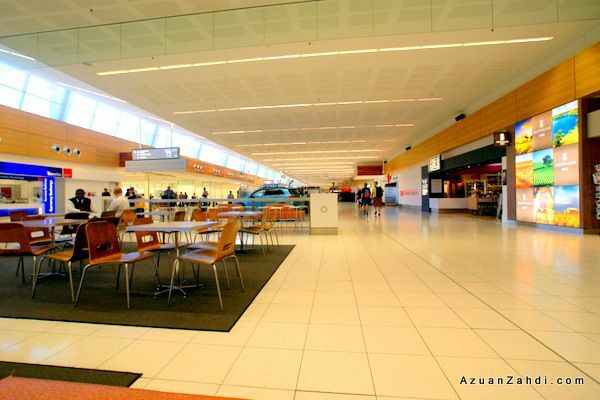 It was a confusing Sunday morning as we made our way from the hotel to Adelaide International Airport. The taxi that we booked turned up an-hour earlier thanks to the adjustment of time as the daylight saving time ends on 1 April 2012. We thought that we might have got the timing all wrong but thankfully we got to the airport on time, 3 hours before scheduled departure time. Despite being early, we had to queue for about 45 minutes at the check-in area. We did not attempt online check-in as we were trying to get the bulkhead seats since we were travelling with an infant (which we were told that the seats are only available over-the-counter based on first-come-first-serve basis). Thankfully it was worth the wait as most of us managed to secure the more comfortable first row economy class seats while me and my better half settled for seats 40A and 40C at the back part of the plane. 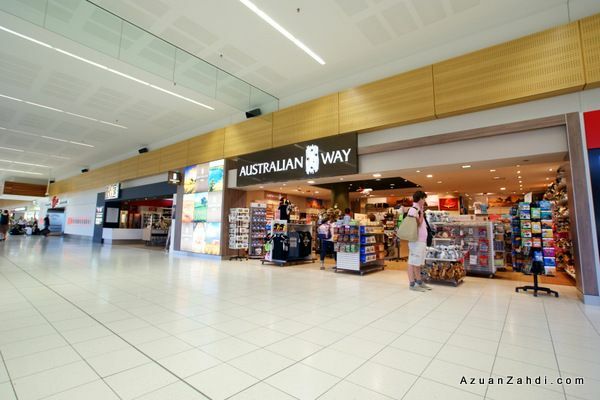 Adelaide Airport T1 is quite a nice comfortable mid-sized terminal with basic facilities such as clean restrooms, Wi-Fi, shops and restaurants as what other major airports would offer. My wife and I managed to use up all our leftover coins to purchase a tiny “Adelaide key-chain”. After clearing immigration and by the time we reached the gate, boarding process has started with three ground agents going through the boarding passes and IDs in an efficient manner. The ground crew ensured that there was no queue inside the aerobridge before calling the next group of passengers for boarding. Boarding was done in a true Malaysian Hospitality way, a combination of “Selamat Datang”, “Apa khabar?” and “Assalamualikum” by 3 different cabin crew made me smiled all the way to my seat. 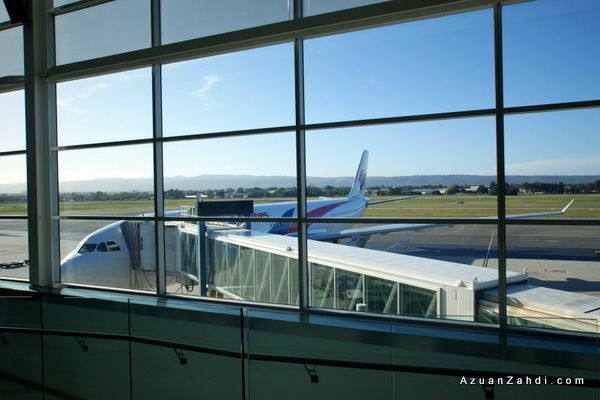 It is just that special feeling that the moment I step into a Malaysia Airlines plane on a foreign land, I would feel that half of me is already in Malaysia. While waiting for pushback, a quick shot of the contents of the seat pocket. I wonder if it is still ok to take home the Going Places magazine or has the policy changed over the years? Pushback was 2-minutes ahead of time and in less than 15-minutes the A330-300 was airborne. 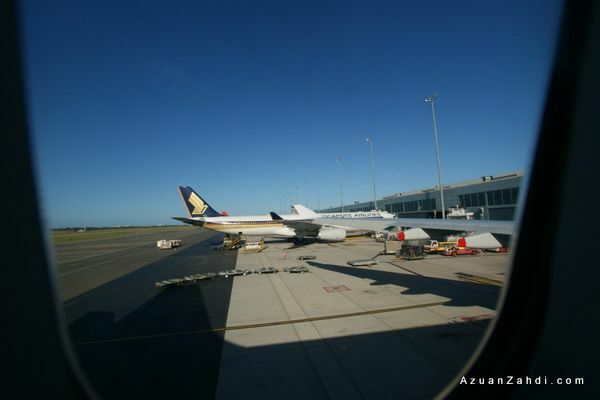 Goodbye Adelaide, till next time. 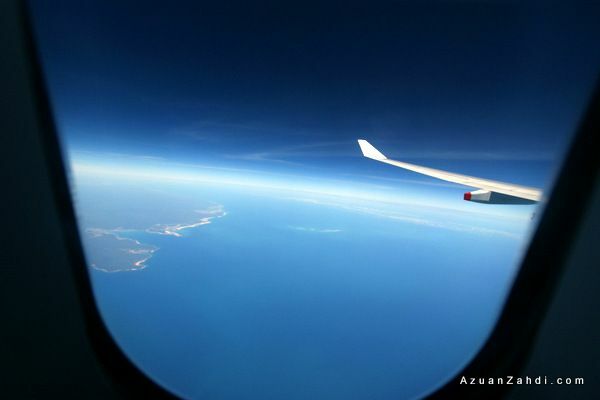 One thing that I love about daytime flights is the view and it was clear weather on that day so the view was amazing. 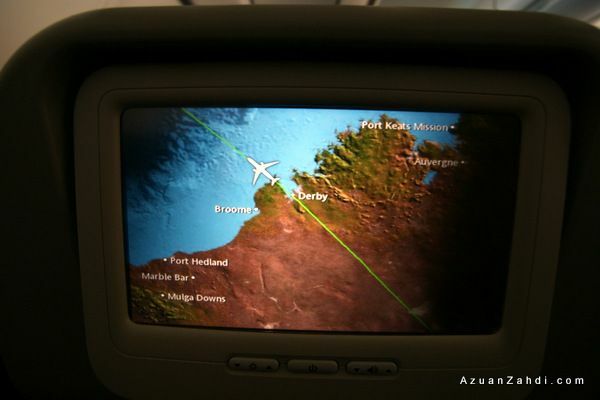 In-flight entertainment started soon after take-off with the crew distributing the headsets. 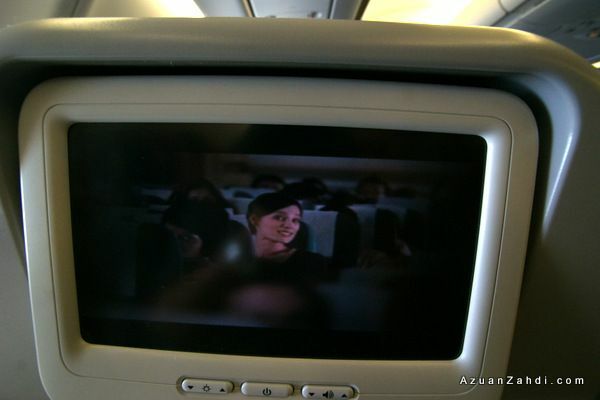 Passengers were asked to lower down their window shades to allow everyone to rest and enjoy the entertainment. 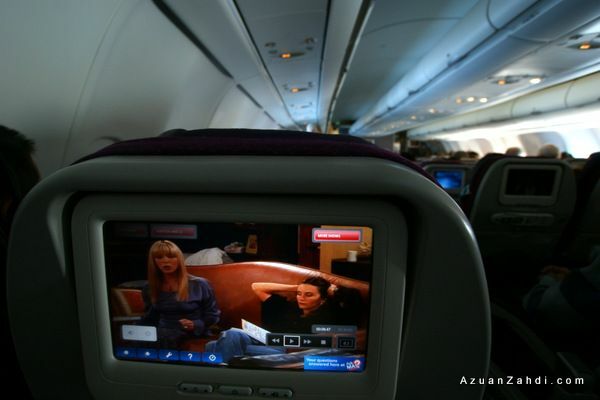 I enjoyed watching few episodes of my all-time favourite TV sitcoms “F.R.I.E.N.D.S”. Of course being a fan of aviation, the “airshow” channel is a must! The only thing missing is an audio channel that connects to the cockpit’s ATC radio. 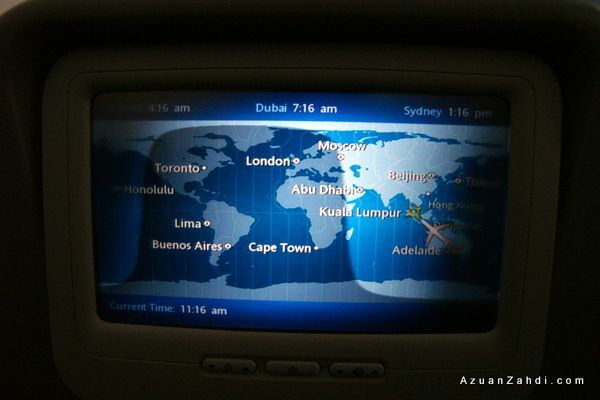 A really cool feature that I’ve experienced on one of the flights that I took in the US few years back. 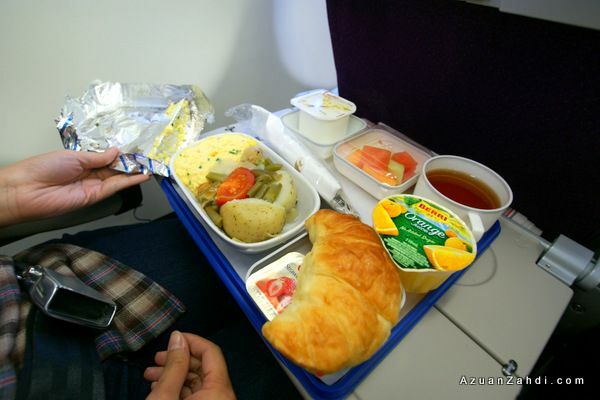 About an hour after take-off, breakfast was served. I chose Nasi Lemak Sambal Udang. 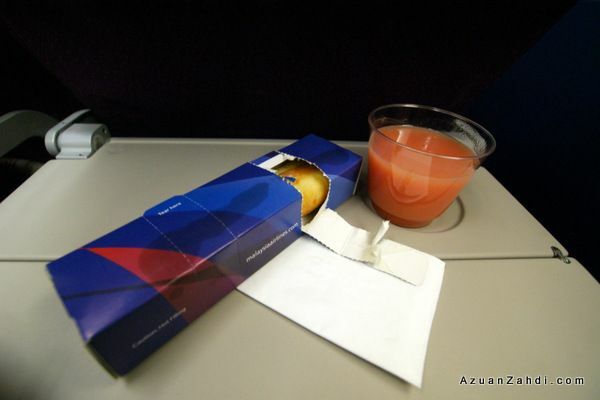 Throughout the flight the crew were actively walking around offering water and peanuts to the passengers that mostly were sleeping or enjoying the IFE. Duty free sales were carried out but I decided not to buy anything this time. At one point during the flight I was having quite a bad tooth-ache and after seeing me feeling a bit uncomfortable, one of the steward came and asked whether I was ok and offered pain-killers that thankfully helped a lot! About 2 hours before arrival, light snacks were served. 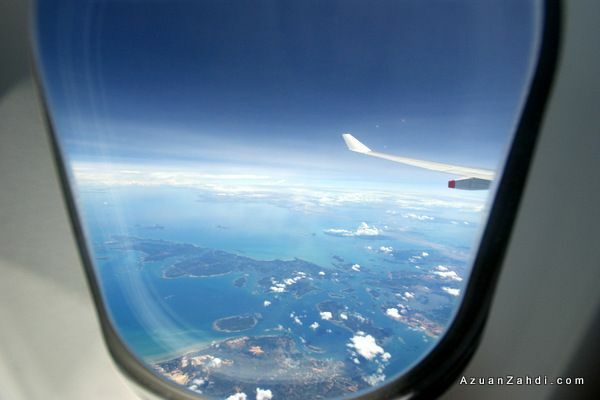 Descending into KL, hello Malaysia! The awesome Welcome to Malaysia video. 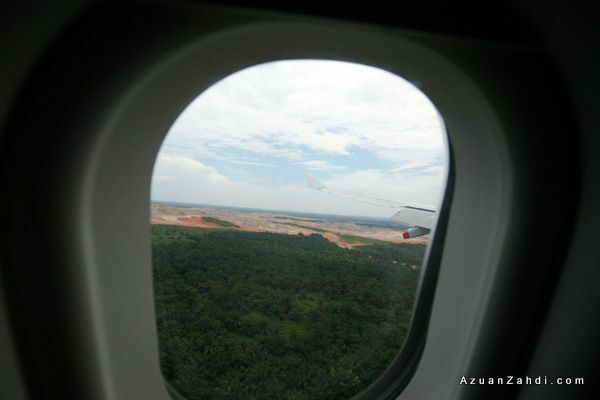 Final approach to KLIA’s runway 32L. 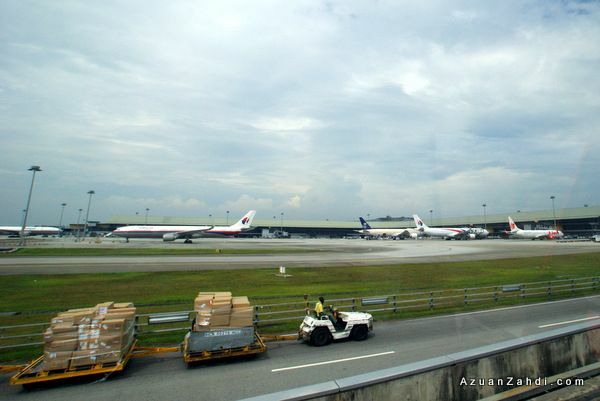 The aircraft having a quick “rest” at the gate in KLIA before flying to other Malaysia Airlines destinations. 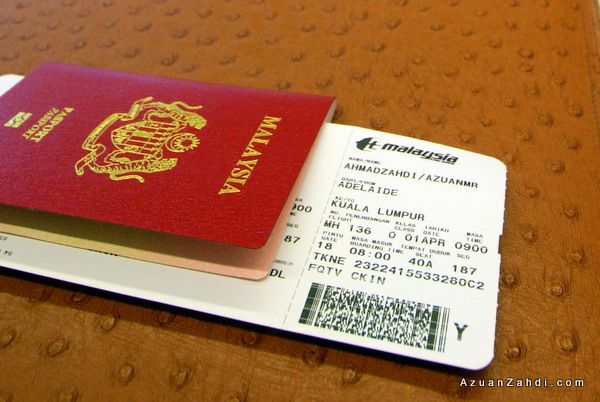 As a Malaysian, I am biased towards our national carrier so I will continue to say that personally I would choose to fly Malaysia Airlines before considering other foreign airlines for international routes. 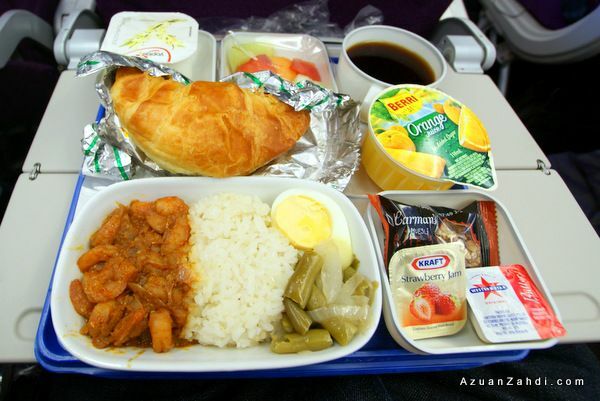 Although it is no secret that in terms of product offerings Malaysia Airlines might be a bit behind in terms of cabin and aircraft age but the Malaysian Hospitality elements projected by the cabin crew and the food have always been the winning points that made me choose the airline over the others. 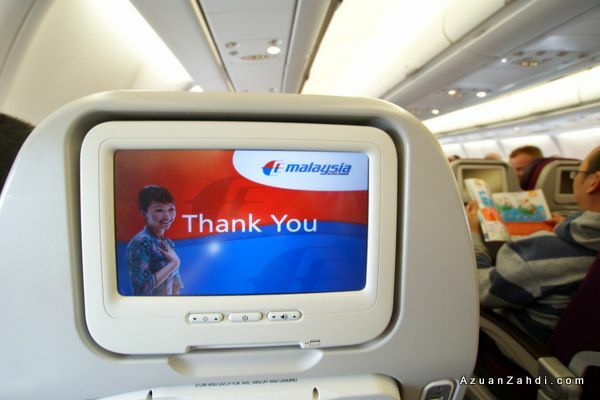 Let see whether the new A380 will help to gain back passenger’s confidence towards Malaysia Airlines offerings. Terima Kasih Malaysia Airlines dan sehingga kita berjumpa lagi. Note: Unless explicitly stated in the post, everything written by me here is my personal opinion and it does not reflect the opinions of any organizations. I always love airlines that offer pair/couple seats. Where are the photos of e stewardess??? Yup… I hate the middle seats! A or C is always my preferred seat. Anyway no photos of stewardess la this time. I was too tired from the trip to socialize on-board hehe but yeah they were friendly. MH will always be my choice premium airlines other than Qatar. The feeling of home once you step on board is priceless. thanks for the photos and commentary, we will be flying on this plane in a couple of weeks. Glad that you find it useful 🙂 Have a good trip mate. 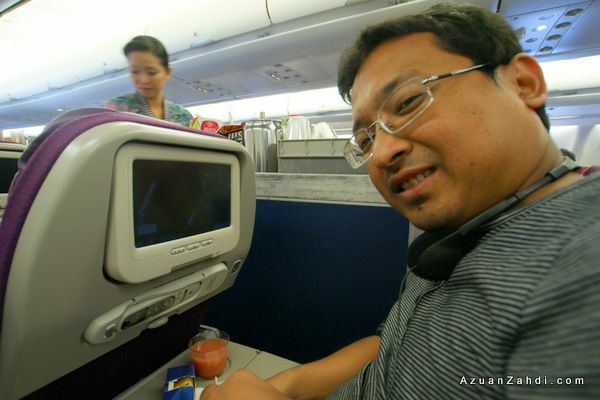 wow mr azuan nice pic and log…good job..
Live on MHI TV3: AzuanZahdi.com!